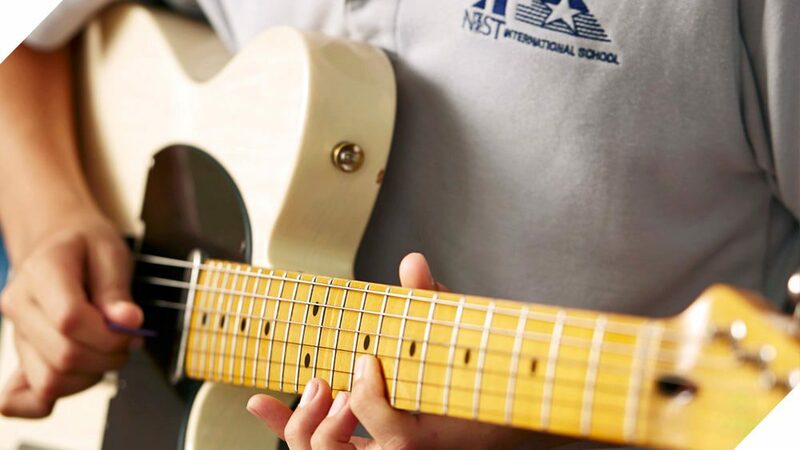 We are proud to introduce the NIST Music Academy, where students have the opportunity to learn a wide variety of musical instruments with our dedicated, professional music teachers. The programme has been developed to provide quality, progressive and fun lessons for students to learn music. By basing instruction on A Common Approach, we ensure that students develop consistently over time. This provides the platform to introduce two exam syllabi, the ABRSM and Trinity Rock & Pop, through which students can be formally graded with internationally recognized qualifications. As instrumental & vocal lessons are a performance art, daily practice is vital to ensure improvement and is the most important component of a student’s weekly routine for development as a musician. Music teachers help guide students with their musical development; however, we encourage students to hold themselves accountable for their daily efforts through regular practice. All students who enroll in the NIST Music Academy have many opportunities to perform throughout the year. Ovaltune is scheduled each month for students to perform in an informal setting, and at the end of each semester we present the music recitals, where students can show their talents and mid-term musical progression. Students who enroll in the NIST Music Academy receive the option of pursuing two qualifications, both of which are recognized around the world. One-on-one instruction is offered by our school’s tutors, all of whom are professional musicians. The ABRSM is the exam board of the Royal Schools of Music and represents a rich musical history that stretches back over 150 years. It offers graded instrumental and singing exams for over 35 subjects, focused on classical music. The Trinity Pop & Rock exams focus on more contemporary music, making them appealing to many young musicians. It also provides them with access to a large number of musical resources.